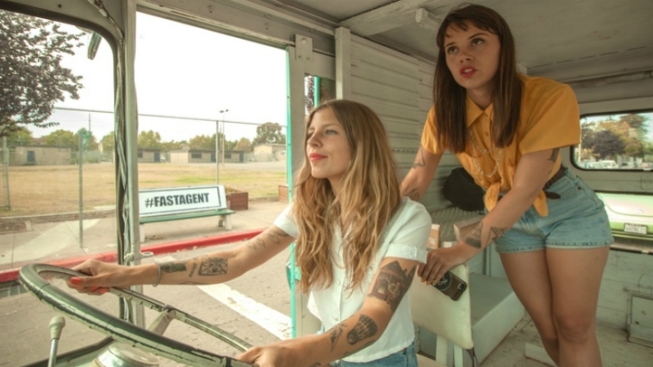 Molly Gaylord and Karina Vlastnik of Steep Tea Co.
After a year in business, West Oakland tea blenders Steep Tea Co will soon hit the road, stopping at Bay Area farmers markets, pop-up events and private parties to serve tea and treats in the Steep Tea Jeep. Owners Molly Gaylord and Karina Vlastnik are in the final hours of a Kickstarter campaign which has already surpassed a goal of $20,000 to renovate their 1967 Jeep postal truck. Among the improvements to come are to outfit the truck, affectionately nicknamed "Belle," with a kitchen that will include a soft serve machine to dispense ice cream in flavors like chai and Earl Grey. The Jeep will also sell beverages such as hot and iced teas, tea sodas and tea lattes along with loose tea. Gaylord and Vlastnik told NBC Bay Area they are currently working on permits to operate in Alameda and next plan to pursue San Francisco permits.